Closing Entries are pass in order to close temporary accounts. Revenue increase owner’s equity and expenses and withdrawals (drawings) by owner decrease owner’s equity, all accounts relating to expenses, revenues and drawing are called temporary accounts. Assets (real accounts) and Liabilities and owner equity (personal accounts) are permanent accounts At the end of financial period, temporary accounts (revenue and expenses) are closing by opening a new temporary account called Income summary account. When revenue and expenses accounts have been closed than we need to close last nominal account i.e. 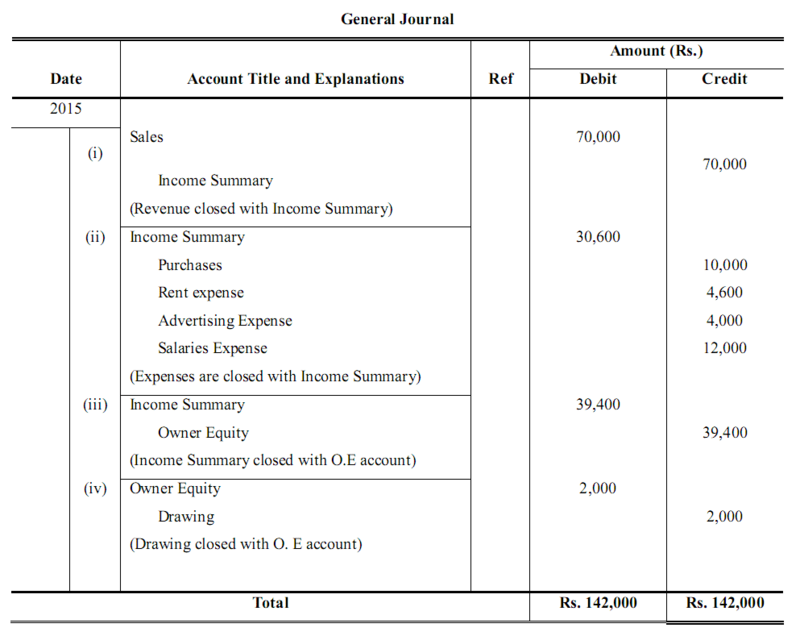 income summary with owner Equity account. drawings are also closed with Owner’s Equity account. The balances of permanent accounts continue to exist beyond the current accounting period. The process of transferring the balances of the temporary accounts into owner’s equity permanent account is called closing the accounts. The Journal entries made for the purpose of closing the temporary accounts are called closing entries. It is common practice to close the accounts only once a year at the end of accounting period. After closing revenue and expenses with Income summary account, next step is to close income summary account, because it is also nominal account and must close at the end of each account period. If income summary account has credit balance means it is profit and if income summary account reflects debit balance suggested lose by business operation. Income summary account will closed against permanent account of owner equity. Close the various Revenue accounts by transferring their balances into the Income Summary account. Close the various Expense accounts by transferring its balances in to the Income Summary account. Close the Income Summary account by transferring its balance into the Owner equity account. Close the owner’s drawing account into the Owner equity account. (The balance of the Owner equity account in the ledger will now be the same as the amount of owner’s equity appearing in the Balance Sheet). > > Read Accounting Worksheet. 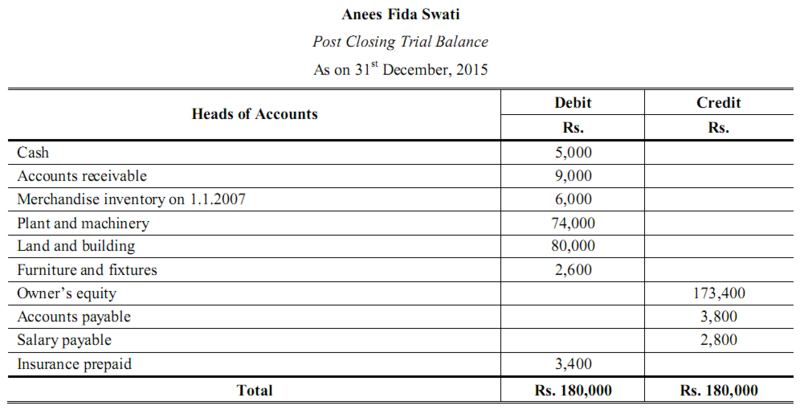 The following Adjusted Trial Balance was extracted from the books of Anees & Sons on 31st December, 2015. From this you are required to pass closing entries. 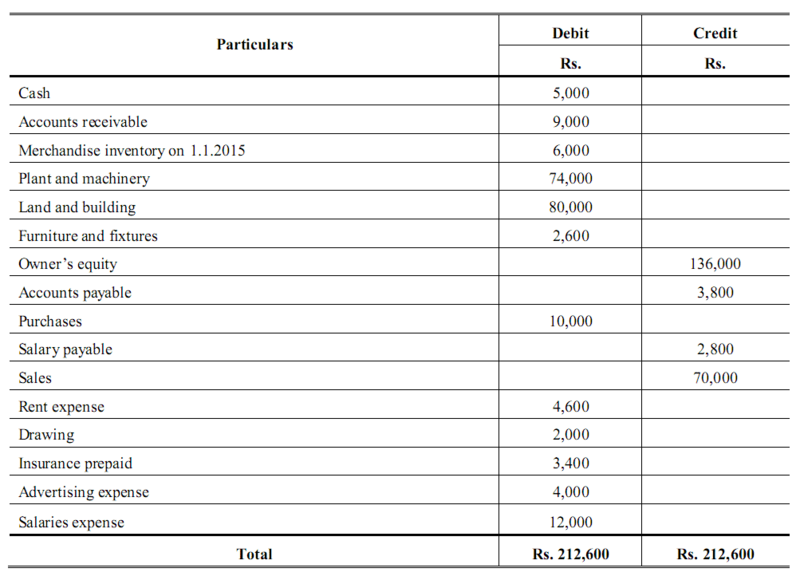 >> Read Post Closing Trial Balance. Hello there, You have performed an excellent job. I will certainly digg it and personally suggest to my friends. I am sure they’ll be benefited from this web site.